Winters are here and the Christmas is coming. What special have you planned, where are you going to celebrate the Christmas and then the New Year. A party? Or A holiday? A road trip or just A classic picnic? Well, whatever your plan includes, you just cannot forget to get a dress for your little munchkin. 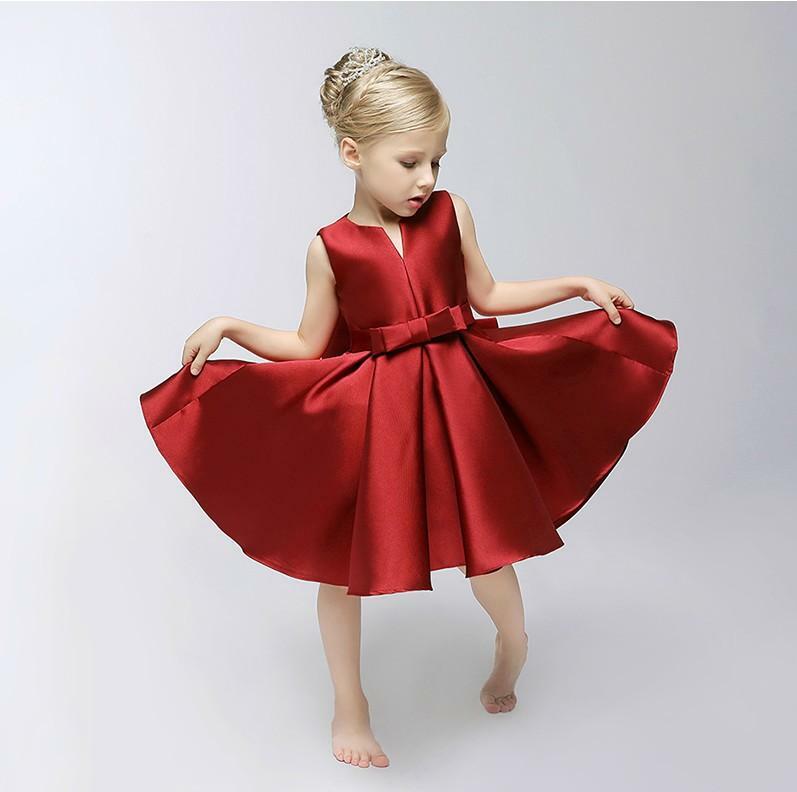 She holds all the right to look as pretty as you do and the reason why we are here with our collection of Bold colored online dresses for baby girls. Here we have showcased some best ones for your ease to pick one and be hero of your little munchkin. Wine is the most trendy color which never fails to light any girl, be it a little one. It enhances the complexion and is sure to give your baby an elegant look. 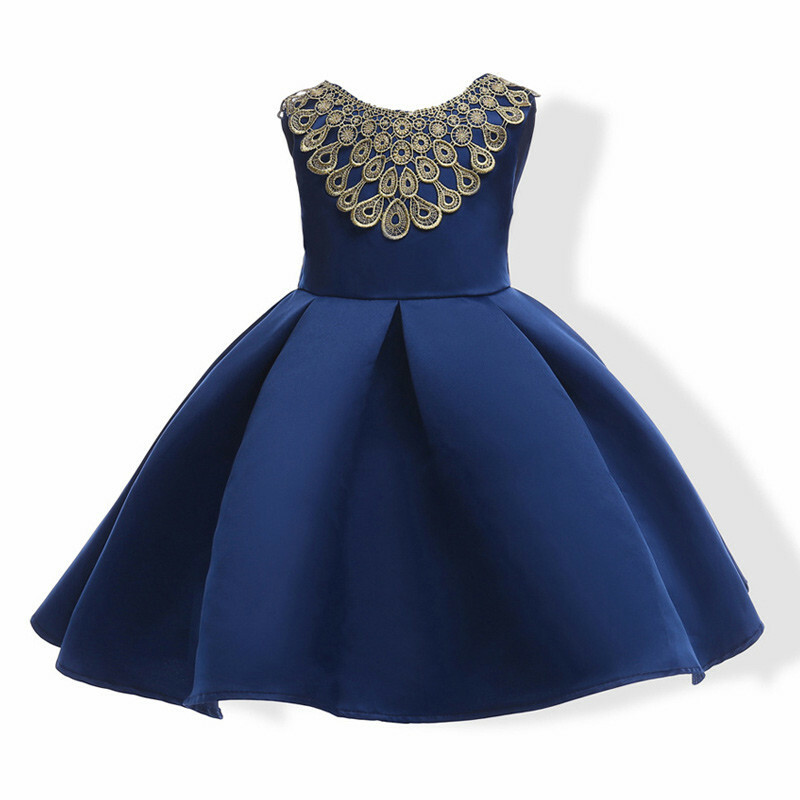 It is a beautiful dress you can make her wear in any upcoming party. It has broad pleats and stylish enough shoulder which is adding grace to the overall look of the dress. The back zip closure offers a perfect fit and makes the attire easy wear. Blue. Isn’t it a royal color? Yes, it is. Blue colored dress never fails to give you royal feels. This beautiful dress has broad pleats with crew neck and beautiful lace patch work on the neckline. 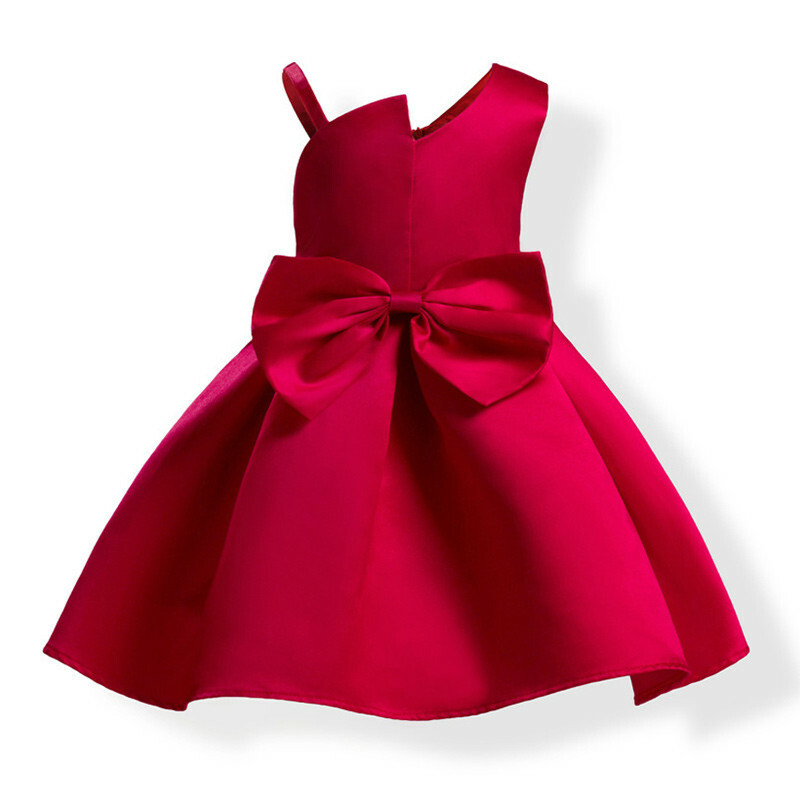 There’s a big bow at the back of the dress with makes the dress look more adorable. The zip closure gives you a prefect fit and will not fail to amuse your little girl with it’s design and comfort. Grab this dress and let her reflect her charm the coming occasion. This is a perfect dress for the Christmas Party. 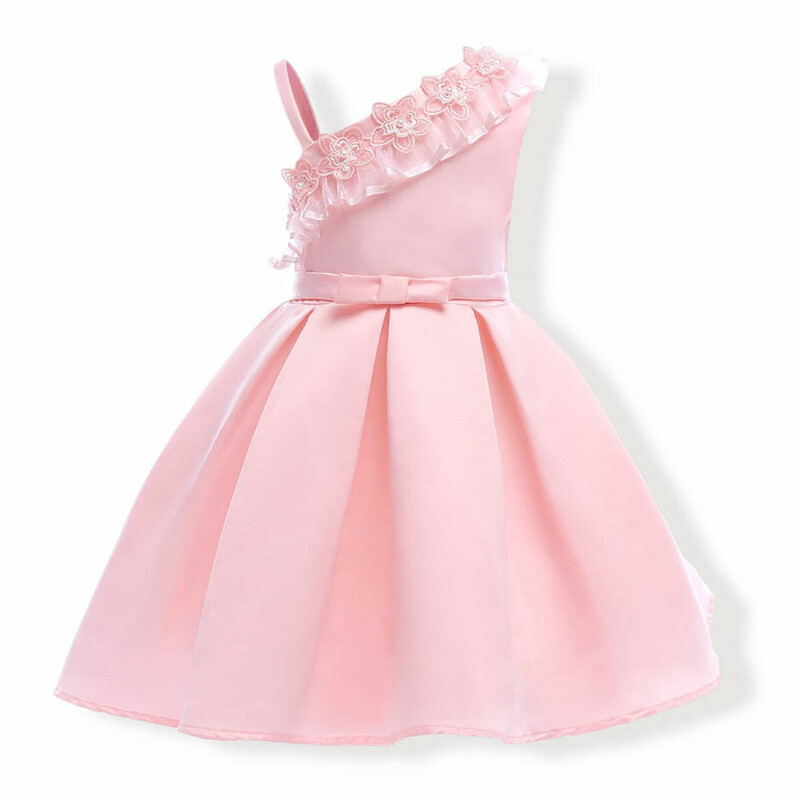 Your little girl will look adorable in this peachy pink dress which has stylish shoulder with crocheted flower work with beautiful net frill on the neckline. The back zip closure is giving both comfort and a perfect fit to to your little munchkin. The broad pleats in the dress is the enhancer of the dress and has a classy enough color appropriate for subtle occasion. 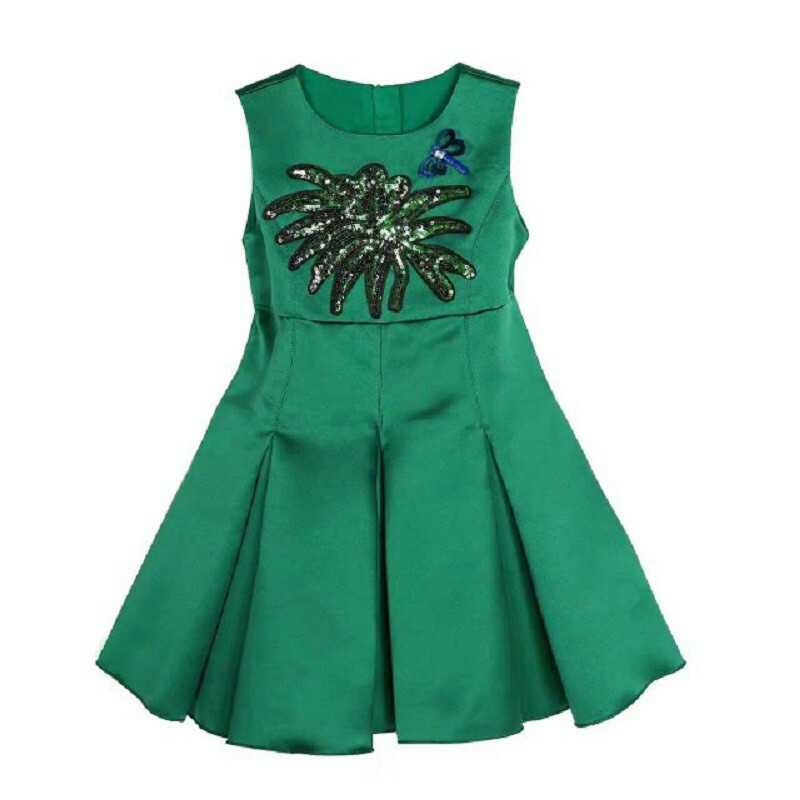 Bottle Green Sequin Kids Dress This gorgeous dress is attractive enough to amuse your little girl. It is a perfect party dress with great color and style. The real charm of the dress is the beautiful embellishment on the bodice. This dress has round neck with broad pleats and the zip closure for the perfect fit. It is beautiful enough for your little girl to wear and slay. It is a must have in your little’s closet. So be the secret Santa of your kid and grab some gifts along with some stylish and adorable dresses for them to feel this Christmas to be the best Christmas so far. Here, we have ample of online party dresses for girls, grab and gift. The post Make Her Dress Bold, look Bold, Reflect Colors appeared first on Baby Couture India.